knittingfrau: New floor, new "office"
Lookie, Lookie , our bamboo floor in the family room is all fixed and beautiful. 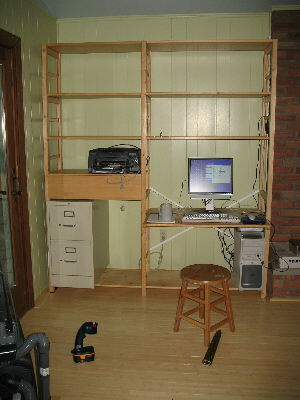 In the reorg that followed, I scored this amazing shelving unit to be my "office". 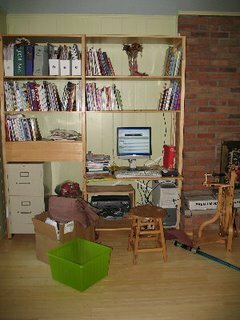 I used to have just a table. Here are the shelves mostly filled. It will be fab to have all of my knitting reference books at my fingertips. 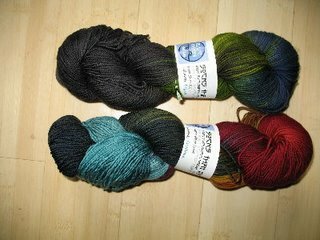 Some more sock yarn to celebrate ! and sock yarn! what a perfect way to celebrate!! !